In December 2015, an injured ironworker from Washington PA who was represented by attorney Eric P. Betzner received a settlement of $195,000 for his work related injury. The ironworker was injured in 2013, when a piece of steel fell off a forklift injuring his foot and ankle. His injuries resulted in the need for multiple surgeries to his ankle over the next several months. Ultimately, his physicians determined that he would never be able to return to the type of work he previously performed, but would be capable of performing lighter types of work. The workers compensation insurance company also sent the injured worker to an Independent Medical Examination (IME), with that physician also concluding that he would be unable to return to his regular work but could do modified work. Both physicians also concluded that there was nothing further that could be done for the injured worker from a medical standpoint, and that he was at “Maximum Medical Improvement” (MMI). The workers compensation insurance carrier then filed a petition to suspend or modify workers compensation benefits. The workers compensation insurance carrier argued that jobs were available in the general area where the injured worker lived that he could perform. They presented testimony from the employee’s physician, and from a “vocational expert” that they had hired to prepare a report and testify as to the availability of work. They also attempted to present surveillance evidence which had been obtained of the injured worker doing routine daily activities. Attorney Betzner was able to convince the Judge to keep benefits coming to the injured worker, because of difficulties the injured worker had with driving and obtaining other transportation. 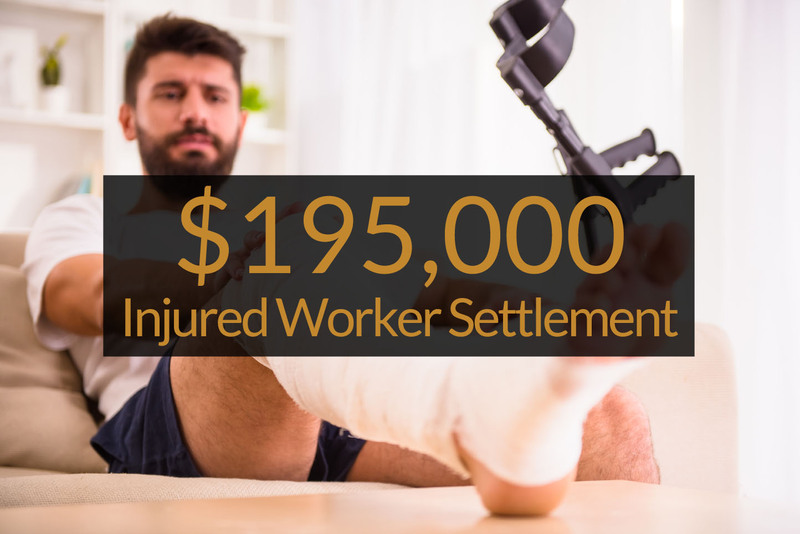 After nearly a year of litigation, a settlement of $195,000 was obtained for the injured worker, who indicated he wanted to use the funds to retrain for work of a lighter nature to enable him to get on with his life.